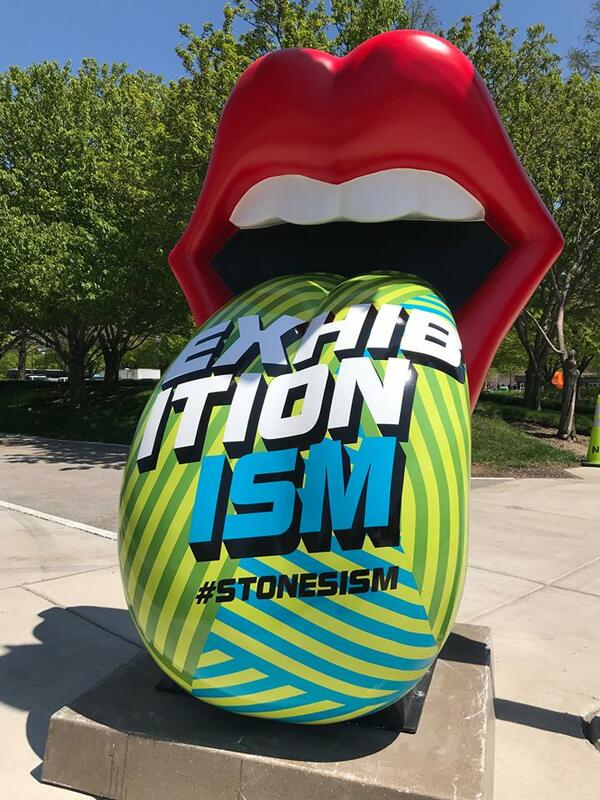 Exhibitionism – The Rolling Stones, which runs through July 31 at Navy Pier in Chicago, uses assorted media and artifacts to celebrate the iconic English band. From the ‘Ladies And Gentlemen’ neon sign and wall of monitors at the entrance, to the tiny pages of Keith Richards’ faded 1960s tour diary, it’s a banquet for Stones fans. In addition to displaying instruments the musicians played, scale models of their elaborate stages, studio tape boxes with their recordings, outfits they wore, and posters that heralded their gigs, Exhibitionism underscores how much American blues music was part of the band’s DNA. A number of the rooms within Exhibitionism have large screens showing Rolling Stones performances from over the decades. That includes footage of them onstage with Muddy Waters, where the mutual respect and affection is unmistakeable. We also see Buddy Guy praising the Rolling Stones, and Richards recalling that being able to record at Chess Studios in Chicago cemented the band’s passion for black music. The recreations of the apartment the band members shared back in their early days, as well as the studio where they recorded some of their most successful albums are also fascinating. Each of the display cases for the guitars has a notecard explaining the role that instrument played in creating particular songs. It’s a kick to read personal memories from Mick Jagger, Keith Richards, Ron Wood, and other musicians who recorded and/or performed with the Stones. The posters range from the early days of multiple band showcases with The Supremes, The Beach Boys, Gerry And The Pacemakers, James Brown, The Hollies, and others to more sophisticated efforts that qualify as fine art. 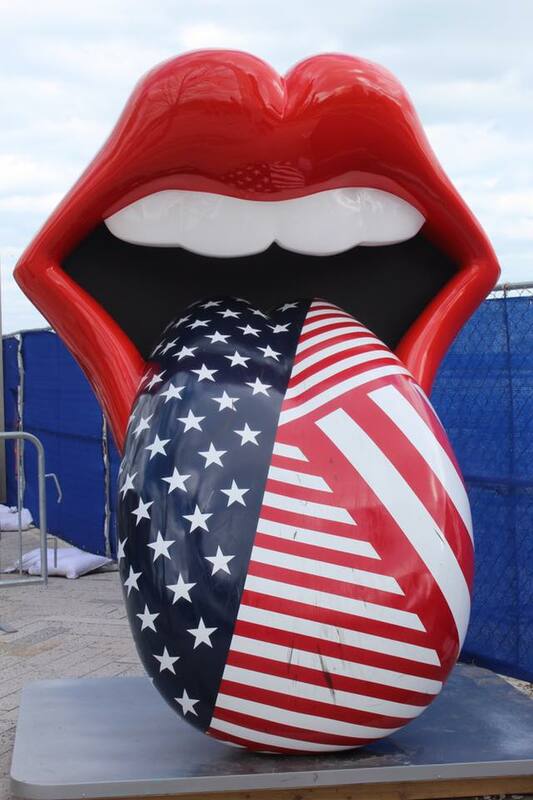 There’s an exhibit on how artist John Pasche came up with the lips and tongue logo, as well as portraits of the band members by Andy Warhol. All in all, Exhibitionism does a bang up job of entertaining as well showing the lasting effect The Rolling Stones have had on modern culture. 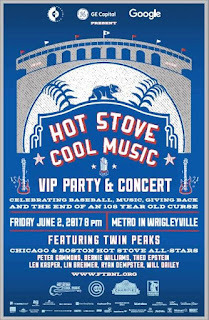 The latest Hot Stove Cool Music benefit takes place next Friday, June 2 at Metro with Twin Peaks as the headline act. The Boston-meets-Chicago mashup of baseball and rock personalities benefits The Foundation To Be Named Later, which aims to help youth-oriented nonprofit organizations. 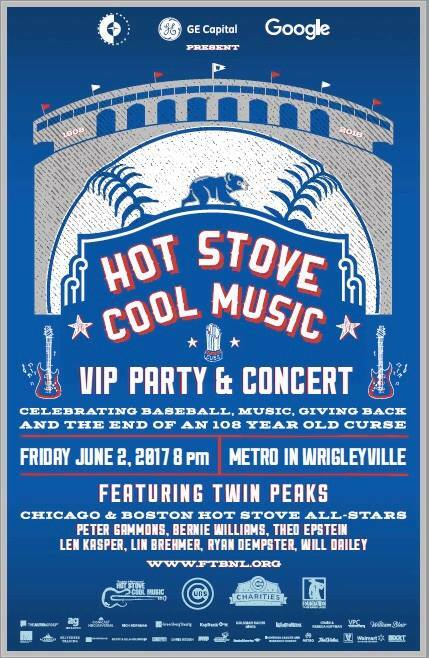 The event will also feature Peter Gammons And The Boston Hot Stove All Stars; Theo Epstein; Len Kasper and The Chicago Hot Stove All Stars; Daxx Nielsen; Scott Lucas; Jason Narducy; Kelly Hogan; Nora O’Connor, Gerald Dowd; and Freda Love Smith. WXRT morning DJ Lin Brehmer and former Cubs ace Ryan Dempster are your hosts. 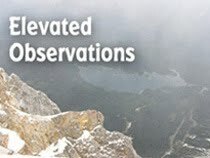 The 18th Annual Animation Show Of Shows, a feature-length collection of 17 shorts is being shown at 8:00 p.m. tonight and 5:15 tomorrow at the Gene Siskel Film Center. So you’re going to The Arcada Theatre in St. Charles on June 10 to see Denny Laine, or maybe you’ve got tickets for that amazing power pop triple bill of Shoes, Pezband, and Dwight Twilley on August 11. But you’re still not sure how to get there. Try a practice drive this weekend and check out the St. Charles Fine Art Show, which runs Saturday and Sunday. Last year’s fair, which ran on the same day The Zombies were performing at The Arcada, featured lots of interesting work, including some rock and roll inspired pieces. Artist Chris Drench creates eye-catching portraits of Prince, The Beatles, and other musicians by arranging the lyrics of their songs. Tickets are now on sale for Peter Asher and Albert Lee at SPACE in Evanston on July 22; Coathangers at Beat Kitchen on July 27; Alejandro Escobedo and Joe Ely at City Winery Chicago on August 24; and Joan Osborne at City Winery Chicago on September 5 and 6. Tickets are also now available for the 36th Anniversary American Music Festival running June 30–July 3 at FitzGerald’s in Berwyn. Performers include Marcia Ball, Dave Alvin, Southern Culture On The Skids, Shemekia Copeland, Los Straitjackets with Marshall Crenshaw, Waco Brothers, and Tributosaurus Becomes The Monkees. Next Thursday, July 1, is being billed as Pepper Day at the AMG Village Crossing 18 movie theatre in Skokie. There will be a Dolby Atmos audio presentation created by Giles Martin (son of renowned producer George) of a new mix of The Beatles album Sgt. Pepper’s Lonely Hearts Club Band. Admission is free but those interested in attending must RSVP in advance. A ticket does not guarantee entry. On the following night, The Beatle Brothers will celebrate the 50th anniversary of the release of Sgt. Pepper by performing the iconic album in its entirety. It sounds like something Julie Andrews would sing to the Von Trapp family, but NoBeRSO stands for North Berwyn Rhythm & Soul Organization, a band featuring Casey McDonough, Scott Ligon, and John Perrin. They’re performing next Thursday, June 1 at Martyrs’ on Lincoln Avenue. Phil Angotti will also be on hand, doing songs from the The Bee Gees Gold compilation, and Rachel Drew will cover Amy Winehouse’s Back To Black album. Cover Palooza!, an evening of Chicago area bands that usually perform originals but will switch to cover versions for one magical evening takes next Saturday, June 3 at the Gallery Cabaret. Van Go, 92, Red Wigglers, Deadly Bungalows, John Moulten, and Right Tidy’s are the acts involved. Long-time blues rock (and occasional classical) performer Corky Siegel will be the keynote speaker for Jews and the Blues, a three-day event held by the Congress of Secular Jewish Organization at the University of Chicago at Chicago on the weekend of June 9–11. Musician/journalist/comic creator Dan Pavelich is offering his Just Say Uncle - The Complete 2013 GoComics Dailies book around the world via his Etsy store. This month’s issue of NewCity has the Chicago free publication’s annual Lit 50 list of the movers and shakers in the local publishing scene. Spoiler alert: I’m not in it. The issue usually comes out around the same time as the Printers Row Lit Fest, which will be held on June 10 and 11. There are only a few days left to check out the Omaze fundraising site for a chance to have breakfast in London with seven of the actors who have portrayed the lead character in the legendary Doctor Who British sci-fi series. Donations start at $10 and can be done via Paypal or credit card. The campaign is part of the annual Red Nose Day to help save children from poverty around the world, and involves Peter Capaldi, Matt Smith, David Tennant, Peter Davison, Paul McGann, Sylvester McCoy, and Colin Baker. Donations must be received by May 31; the winner will be announced around June 9. Omaze has also partnered with Ringo Starr and The David Lynch Foundation for a charity event involving his birthday on July 7. The Beatles’ drummer and other VIP guests will be gathering in Los Angeles for brunch, and fans have an opportunity to join in the fun. Donations start at $10 and can be done via Paypal or credit card. 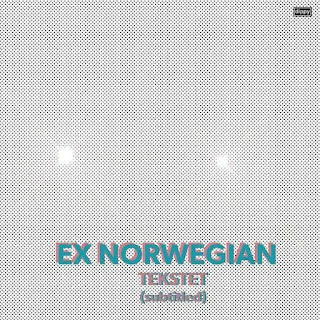 The Miami-based Ex Norwegian shakes things up a bit on Tekstet (Subtitled), its third album in as many years, and eighth overall. The male-female vocal dynamic of singer-guitarist Roger Houdaille and singer Michelle Grand is mostly absent and some tracks have deliberately off-kilter arrangements. Still, Grand makes the most of her three songs and Houdaille layers his distinctive vocals within catchy arrangements that adroitly tap into power pop and various shades of 1960s rock. “Any Old Time,” with its galloping bass and cartoon voices that drift in and out, is one of Houdaille’s more appealing adventures on this effort. 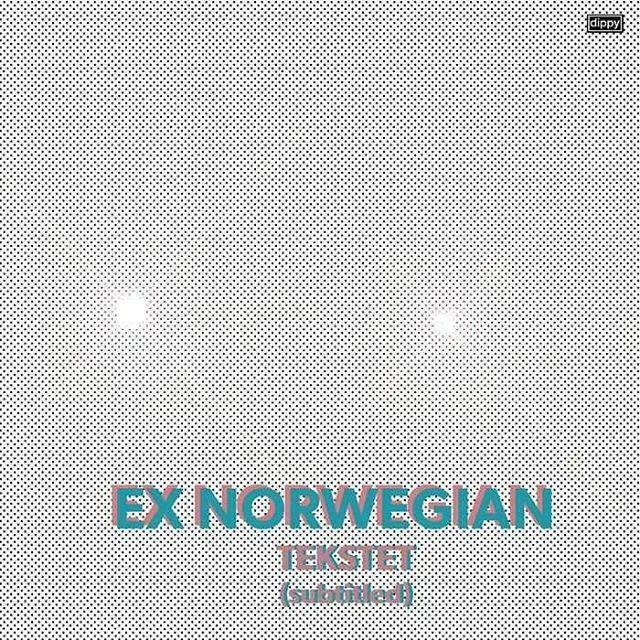 “F’Nostalgia” starts slowly before evolving into a delirious swirl of keyboards, and “Whose Motion” also conjures psychedelic elements. “Gemmas” has a driving beat and an infectious melody that evokes Let’s Active and The dB’s. Grand sings lead on Tekset’s most energetic tracks, including the bass guitar propelled and defiant “Fearless.” She helps give “June Flakes” a buoyant, 1960s girl group sound that recalls the departed and still missed band The Like, and is also impressive with the catchy retro pop of “O Simone.” It would be nice to find Grand and Houdaille singing as a team again on the next (2018?) release, but in the meantime, Tekset is an eccentric but consistently enjoyable effort. This past Wednesday, I felt like fate was sticking its tongue out at me when I walked from the Metra Ogilvie Station to the end of Navy Pier to check out The Rolling Stones Exhibitionism show and discovered it wasn’t open. There’s a new, somewhat haphazard schedule in place, so be sure you check the website before heading out for your Stones fix. Slumgullion was delayed this week due to my hanging out at the Elbo Room last night for the first WNUR Power Pop Shoppe Showcase. Even though I was only able to stay for two of the three acts scheduled, it’s still safe to declare the event a major success. 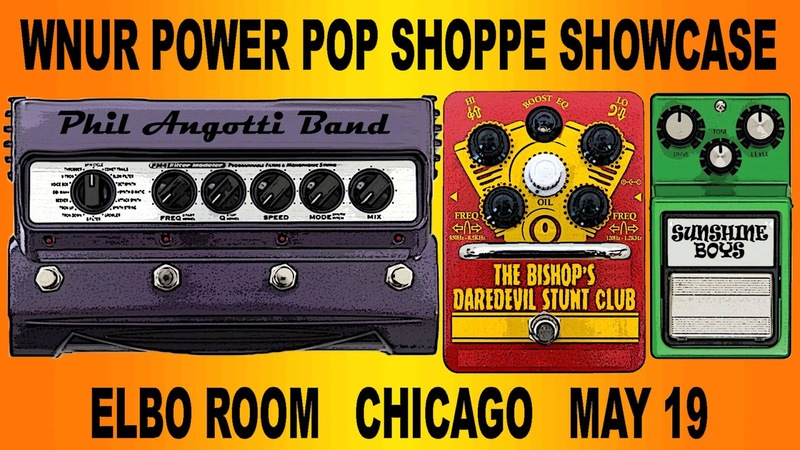 The Power Pop Shoppe is a weekly radio program on the Evanston-based FM station, and I’m hoping DJ Gil stages more live showcases in the future. Last night’s opening band, Sunshine Boys, is destined to rise as a major force from the Chicago music scene. Composed of lead vocalist-guitarist Dag Juhlin (The Slugs, Poi Dog Pondering); drummer Freda Love Smith (Blake Babies, Antenna); and bassist-backup vocalist Jacqueline Schimmel (Big Hello), the trio made an immediate impact with hard-hitting, socially relevant and melodic songs. When Juhlin noted that Sunshine Boys had immediate plans to record a single, I couldn’t help wishing it would be an entire album. It was also a treat to see The Bishop’s Daredevil Stunt Club live after having enjoyed their studio recordings for some time now. The band’s latest effort, Don’t Buy This Record is available for a free download on its BandCamp page. I wasn’t able to stay for The Phil Angotti Band, but it’s inconceivable Angotti and friends would have put on a bad show. Angotti has a brand new solo album out titled Such Stories. Phil Angotti will be a guest on Richard Milne’s Local Anesthetic program this Sunday night on WXRT. Tickets are now on sale for Brian Wilson Presents Pet Sounds: The Final Performances at the Rosemont Theatre on October 6. Wilson will be joined by Beach Boys members Al Jardine and Blondie Chaplin. Other upcoming shows include The Kooks at The Vic on October 11; Rhett Miller at City Winery on July 9, and the FitzGerald’s American Music Festival, which runs from June 30 to July 3 at the Berwyn club. Great Moments In Vinyl, a collection of local musicians that performs memorable albums at the Martyrs’ club on Lincoln Avenue, will delve into R.E.M.’s Document and grammatically incorrect Lifes Rich Pageant next Wednesday, October 24. Local musician John Moulten has been added to the lineup for Cover Palooza!, an evening of Chicago area bands that usually perform originals but will switch to cover versions for one magical evening on June 3 at the Gallery Cabaret. Van Go, 92, Red Wigglers, Deadly Bungalows, and Right Tidy’s are the other acts involved. 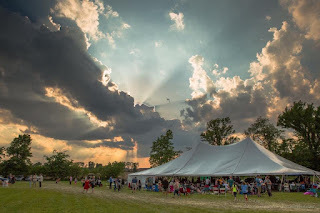 Nowhere Else Festival, a celebration of art music, film, and farming takes place Saturday and Sunday, May 27 and 28, about 45 miles east of Cincinnati, Ohio. Over The Rhine, a beloved alt rock/roots band that often performs in Chicago, are among the bands performing, along with Band of Sweethearts, Birds Of Chicago, Carrie Rodriguez, Carrie Newcomer, and Red Dirt Boys. A screening of the film Doctor Strange will be hosted by its director Scott Derrickson. The Unswept, a Chicago-based band led by cousins who grew up in England, has a jangling new single titled “You Ain’t On My Mind” available for $1 on its Bandcamp page. The group has logged a number of shows at International Pop Overthrow - Chicago. In related news, International Pop Overthrow - Liverpool runs through next Tuesday, May 23 at the Cavern Club, with many bands yet to perform. There’s a 9:00 a.m. to 9:00 p.m. celebration on Chicago’s Riverwalk today. According to a Chicago Sun-Times piece by Miriam DiNunzio, the event will feature “walking tours, live music, a life-size fish puppet parade [and] fishing demonstrations.” I’ve never heard of a life-size fish puppet parade, and it’s hard to imagine how well it could be seen from even a few feet away. Photo from The Bishop's Daredevil Stunt Club Facebook page. 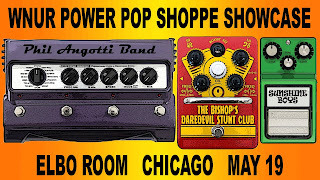 The Power Pop Shoppe has chosen three worthy acts for its showcase tomorrow night at The Elbo Room on Lincoln Avenue. A weekly program on WNUR 89.3 FM, The Power Pop Shoppe is hosted by DJ Gil, whose mission is to present a global selection of melodic rock that includes a healthy dose of Chicago area talent. That approach will no doubt transfer well to the stage, with performances by The Phil Angotti Band, The Bishop’s Daredevil Stunt Club, and Sunshine Boys. Phil Angotti is a veteran of the Chicago club scene, and was also one of the performers (with his band The Idea) at the very first International Pop Overthrow in Los Angeles. He’s known for doing tribute shows to The Beatles, Simon and Garfunkel, The Bee Gees, The Zombies, etc., and he’s an accomplished singer-songwriter as well. He’ll most likely be showcasing songs from his new acoustic album Such Stories at The Elbo Room. The Bishop’s Daredevil Stunt Club adroitly combines catchy arrangements with offbeat subject matter, and the brand new Don’t Buy This Record finds the quintet at the top of its game. As I noted in a review posted on Broken Hearted Toy earlier, Don’t Buy This Record follows in the tradition of fellow Midwestern acts Wilco and The Webstirs, but also explores 1980s style synth rock. The adventurous vocal interplay of guitarist Bill Giricz, bassist Dan Passarelli, and guitarist Paulette Bertrand is another highlight. The name Sunshine Boys might not be familiar to even long-time followers of the Chicago music scene, but the three musicians in this new trio have built solid reputations with previous acts. Freda Love Smith was a founding member of Blake Babies; Jacqueline Schimmel played with Big Hello; and Dag Juhlin formed The Slugs and is a member of Poi Dog Pondering. A clip of a song called “Only A Million Miles” on the Sunshine Boys Facebook page suggests they favor a guitar-driven, energetic approach. Depending on what time you’re reading this, you might still have time to catch singer-guitarist Phil Angotti performing songs from his latest album Such Stories tonight at a CD release show at the G Man Tavern on Clark Street. The event is being hosted by CAUDog Records and Avenue N Guitars, and Angotti will be joined by Rachel Drew and Tommi Zender, with special guests Joe George and Tony Richards. If you miss Angotti’s show at tonight, you can catch him next Friday, May 19 at The Elbo Room on Lincoln Avenue, along with power pop marvels The Bishop’s Daredevil Stunt Club and Sunshine Boys. They’re part of the WNUR Power Pop Shoppe showcase. Tickets went on sale today for Over The Rhine at SPACE in Evanston on August 26 and 27, and Paul Weller at House Of Blues on October 9. There will be a Renegade Craft Fair Pop-up tomorrow and Sunday on Halsted, between 18th St. and Canalport. My superstar chef nephew Joe Flamm and his Spiaggia co-worker Tony Mantuano will be part of Craft And Cuisine event at The Park At Wrigley tomorrow afternoon. Other participants include Stephanie Izard of Girl And The Goat fame; Matthias Merges from Yusho; Paul Kahan from Big Star; Chris Teixeira and Samantha Turner from West Town Bakery. There will be over 40 beer and wine tastings. John San Juan, who is a founding member of The Hushdrops and just released a solo album, will be opening for Ian Hunter at Park West tomorrow night. The recently reunited Baltimore-based power pop band Splitsville will headline a four-act showcase tomorrow night at the LiveWire Lounge on Milwaukee Avenue. Chicago bands Hyperplane, Collectors, and The Handcuffs are also on the bill. Tickets are now on sale that amazing August 11 triple bill of Dwight Twilley, Pezband, and Shoes at The Arcada Theatre in St. Charles. Neil deGrasse Tyson, a guy who’s so smart he got to host Cosmos and do cameos on The Big Bang Theory, will be at the Chicago Theatre this coming Tuesday night to talk about his book Astrophysics for People in a Hurry. Texas Guitar Shows is bringing what’s being billed as the Midwest’s Largest Guitar Show to the Odeum Expo Center in Villa Park next Saturday and Sunday. Adult admission is $20; children 11 and under can attend for free if accompanied by an adult. Micky Dolenz will be performing at City Winery Chicago on June 13 and 14. There’s a triple bill of Roxy Swain, Toy Robots, and Cheryl Lynn Tomblin coming up on June 16 at Wire in Berwyn. Material Reissue and Cliff Johnson with The Raine will be performing at that same venue on June 24. There’s still time to check out the Omaze fundraising site for a chance to have breakfast in London with seven of the actors who have portrayed the lead character in the legendary Doctor Who British sci-fi series. Donations start at $10 and can be done via Paypal or credit card. The campaign is part of the annual Red Nose Day to help save children from poverty around the world, and involves Peter Capaldi, Matt Smith, David Tennant, Peter Davison, Paul McGann, Sylvester McCoy, and Colin Baker. Donations must be received by May 31; the winner will be announced around June 9. Omaze, has also partnered with Ringo Starr and The David Lynch Foundation for a charity event involving his birthday on July 7. The Beatles’ drummer and other VIP guests will be gathering in Los Angeles for brunch, and fans have an opportunity to join in the fun. Donations start at $10 and can be done via Paypal or credit card. There are two weeks left to see the critically acclaimed production of Jesus Christ Superstar at the Paramount Theatre in Aurora. 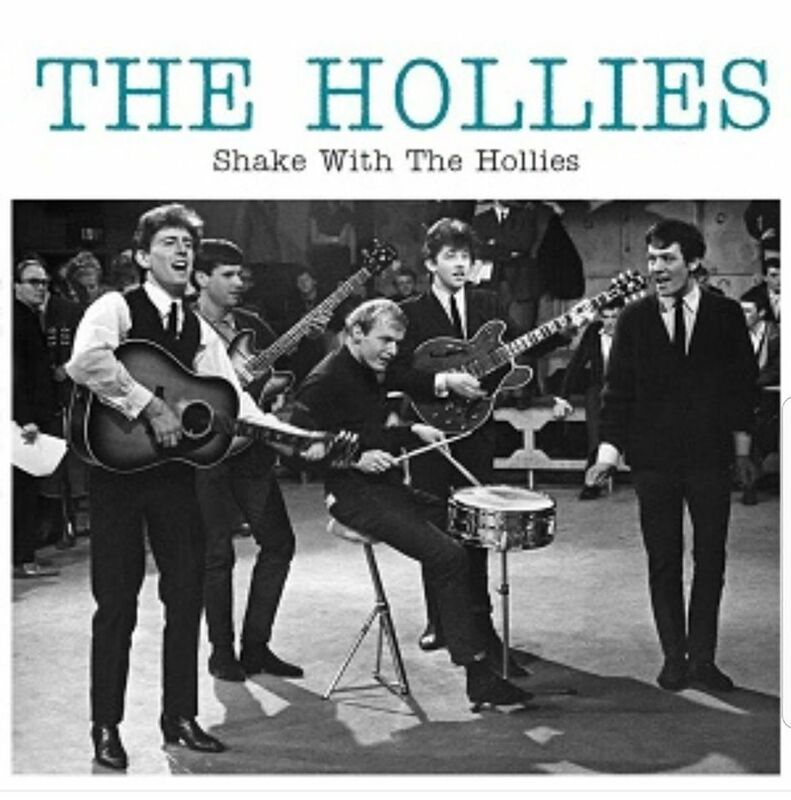 Shake With The Hollies was a 2017 Record Store Day release only in the UK, but Facebook sites like Allan Clarke Appreciation Society and Hollies Appreciation Facebook Area (both are closed groups) brought it to the attention of people around the world. I bought one on eBay for a reasonable price, and there may still be copies available via that route. Like a lot of Record Store Day limited-edition vinyl, it offers alternative versions and/or previously unreleased material. As noted on the LP’s back cover, the five 1963 tracks were captured by “an enthusiastic fan who placed a microphone in front of the radio speaker!” The sound quality drifts in and out on a 1965 recording of “Just One Look” from Shindig, but otherwise the dated technology on Shake With The Hollies shouldn’t keep avid Hollies fans from enjoying these unearthed treasures. Particularly the rousing renditions of Chuck Berry’s “Roll Over Beethoven” and “Reelin’ And Rockin’,” which have never been released before. The opening track “I Can’t Let Go” was recorded in 1966 and features Eric Haydock grabbing the spotlight with some spirited bass playing. There’s also an early version of “Don’t Even Think About Changin’” from that same radio session. The song would later appear on The Hollies’ first of three consecutive masterpieces, For Certain Because. (Evolution and Butterfly were the other two.) All 16 songs exude a raw, fun energy, and the brief interviews with Graham Nash, Allan Clarke, and Tony Hicks add to allure of Shake With The Hollies. Whiteout Conditions, the seventh full-length album from The New Pornographers, and the first on their own Collected Works label, is likely to expand their devoted following. A.C. Newman and Neko Case have done well as solo artists, but there’s a certain magic in the way these eight Vancouver-based musicians create impossibly catchy and eccentric music. Having five members who can sing results in terrific harmonies and adventurous vocal arrangements. As in the past, The New Pornographers’ lyrics have a logic all their own. The haunting “We’ve Been Here Before” and “Second Sleep,” as well as the pulsating “Avalanche Alley” could have sprung from the pages of a fantasy novel. “High Ticket Attractions,” which bears a resemblance to The Dandy Warhols’ “Bohemian Like You,” sports numerous quick and clever rhymes that reference everything from the Magna Carta to the ancient Mayans. The lilting yet ominous “This Is The World Of The Theatre” mixes guitars and keyboards, while the title track and the futuristic “Clockwise” explore a more aggressive 1980s alternative rock. The tribal beat and male-female vocal dynamic on “Darling Shade” evokes The B-52’s at their best. “Play Money,” which uses an infectious arrangement and biting lyrics to lampoon a cash-hungry music industry, might explain why The New Pornographers have decided to go their own way. Tickets are now on sale for the Nowhere Else Festival being staged May 27 and 28 about 45 miles east of Cincinnati, Ohio. Billed as Two Full Days Of Music, Art, Earth, Sky, Nowhere Else will have a painting workshop/demonstration, a nonfiction writing workshop, readings, a lecture on regenerative farming, live music, and a screening of Doctor Strange hosted by its director Scott Derrickson. Scheduled acts include Over The Rhine, who perform in Chicago on a semi-regular basis, Band of Sweethearts, and Red Dirt Boys. One of the first bands I interviewed for the Illinois Entertainer back in the late 1980s was Social Act. Lead singer-bassist Ellis Clark had already built a following as a member of Epicycle, and would go on to work with The Handcuffs and other acts, along with pursuing a solo career. So it’s great to see that he’s bringing Social Act back again. According to a recent post on Clark’s Facebook page, the band recently shot a video at a church in the Humboldt Park neighborhood. Another Chicago music scene veteran, Mimi Betinis, recently posted on Facebook that we could see the release of a 1972 recording from the original lineup of Pezband some time this summer. John San Juan, who is a founding member of The Hushdrops and just released a solo album, will be opening for Ian Hunter at Park West this Saturday, May 13. Local H, the Chicago-based duo of vocalist-guitarist Scott Lucas and drummer Ryan Harding, has a gig this Friday night at Durty Nellie’s in Palatine. Opening act Stoop Goodnoise kicks off the evening at 9:00 p.m.
My superstar chef nephew Joe Flamm and his Spiaggia co-worker Tony Mantuano will be part of Craft And Cuisine event at The Park At Wrigley this Saturday. Other participants include Stephanie Izard of Girl And The Goat fame; Matthias Merges from Yusho; Paul Kahan from Big Star; Chris Teixeira and Samantha Turner from West Town Bakery. There will be over 40 beer and wine tastings. It’s great to see Cheap Trick isn’t resting on its laurels after the dual triumphs of being inducted into The Rock And Roll Hall Of Fame and having its Bang, Zoom, Crazy . . . Hello album land at number one on the Broken Hearted Toy Favorite Releases Of 2016 list. The group already has another album ready to release on June 16, and fans can pre-order We’re All Alright! in various configurations from the PledgeMusic website. Tickets go on sale this coming Tuesday, May 9 for an August 11 triple bill of Dwight Twilley, Pezband, and Shoes at The Arcada Theatre in St. Charles. Also going on sale this Tuesday at The Arcada are Rickie Lee Jones on August 19 and Al Stewart performing his Year Of The Cat album, backed by The Empty Pockets. Just don’t order the Eggs Terminate. The Omaze fundraising site is giving Doctor Who fans an opportunity to have breakfast in London with seven of the actors who have portrayed the lead character in the legendary British sci-fi series. Donations start at $10 and can be done via Paypal or credit card. The campaign is part of the annual Red Nose Day to help save children from poverty around the world, and involves Peter Capaldi, Matt Smith, David Tennant, Peter Davison, Paul McGann, Sylvester McCoy, and Colin Baker. Donations must be received by May 31; the winner will be announced around June 9. Peace and love and pass the omelets. Omaze has also partnered with Ringo Starr and The David Lynch Foundation for a charity event involving his birthday on July 7. The Beatles’ drummer and other VIP guests will be gathering in Los Angeles for brunch, and one fan will have an opportunity to join in the fun. Donations start at $10 and can be done via Paypal or credit card. Susanna Hoffs has recorded a simple and elegant acoustic guitar/strings version of “Take Me With U” as a tribute to Prince that can be heard on Spotify. All proceeds will go to the Mending Kids charity organization. 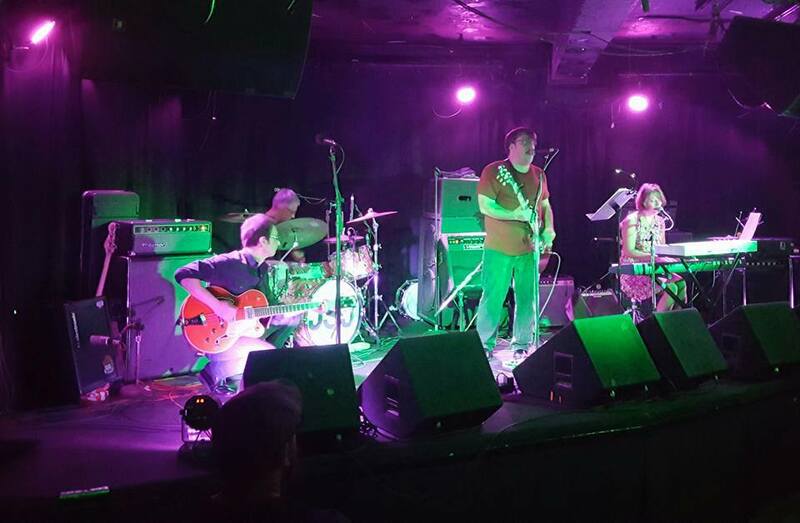 The recently reunited Baltimore-based power pop band Splitsville will headline a four-act showcase at the LiveWire Lounge on Milwaukee Avenue in Chicago next Saturday, May 13. Chicago bands Hyperplane, Collectors, and The Handcuffs are also on the bill. The iconic hippie musical Hair opens on May 18 at the Metropolis Performing Arts Centre in Arlington Heights and runs through July 1. Denny Laine, a former member of The Moody Blues and Wings, will be performing the complete Band On The Run album Monday night, May 8, at City Winery Chicago. The Blasters will be at that same venue on May 12, and Micky Dolenz has gigs there on June 13 and 14. Cover Palooza, an evening of Chicago area bands known for performing original material covering some of their favorite artists, will take place on June 3 at the Gallery Cabaret. Van Go, 92 (92 Degrees? ), Red Wigglers, Deadly Bungalows, and Right Tidys are scheduled to appear. The Thin Cherries, a new Chicago-based band founded by Steven Delisi from the punk/avant-garde band Phenomenal Cat and Mark Lofgren from psychedelic scene veterans The Luck Of Eden Hall, have a gig coming up next Thursday, May 11 at The Burlington on Chicago’s north side. The Thin Cherries’ self-titled debut is available as a limited-edition CD, and can be downloaded from their Bandcamp page. Power pop/glam rock artist Ty Segall will be at Metro next Sunday, May 14. Tickets went on sale today for Guided By Voices at Beat Kitchen on July 28, The Cranberries at Riviera on September 28, and for Rachael Yamagata and Joshua Radin at House Of Blues on July 29.
International Pop Overthrow wrapped up its 2017 Chicago visit last Saturday with two showcases at The Red Line Tap. I caught most of the afternoon set, finally getting a chance to see The Red Plastic Buddha perform live. I have two albums I like quite a bit by this psychedelic band, and their live show did not disappoint. I also caught solid sets by Michael Steven Cohen from The Abbeys; Freetoed; The Pickpockets; and The Vinyl Skyway. I wasn’t able to stay for The Jeremy Band, but I’ve been impressed with his shows in the past. Next up for International Pop Overthrow and CFO/Founder David Bash is a May 16 through 23 run at The Cavern Club in Liverpool that will feature dozens of acts. Black Pearl - A Tribute To Josephine Baker, the latest production from the critically acclaimed Black Ensemble Theatre, opens tomorrow and will run through June 25. Tickets for a number of acts at this year’s Ravinia Festival go on sale Tuesday, May 9; including The Beach Boys and Temptations; Blondie and Garbage; Sheryl Crow; The Moody Blues; Stevie Nicks; Smokey Robinson; and Stephen Stills and Judy Collins. For those of us who’ve seen Derrick Anderson perform with The Bangles or fill in on occasion with The Smithereens, it’s not surprising to find members of those bands helping out on his solo debut. But they’re just part of an army of all-star guests that includes Matthew Sweet; Steve Barton from Translator; Tommy Keene; Bob, John, and Susan Cowsill; Darian Sahanaja and Probyn Gregory from The Wondermints; and Kim Shattuck from The Muffs. 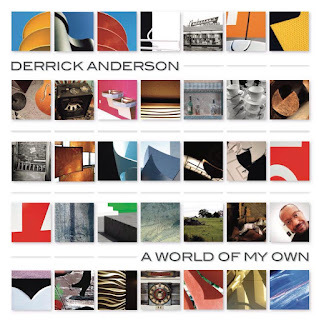 It’s a safe bet they all enjoyed recording A World Of My Own because it’s an engaging collection of songs that taps into power pop, the 1960s, and a bit of 1970s rock. “A Mother’s Love” and “When I Was Your Man” could have been hit singles in the 1960s, and the irresistible “Phyllis And Sharon” has a satirical bite. 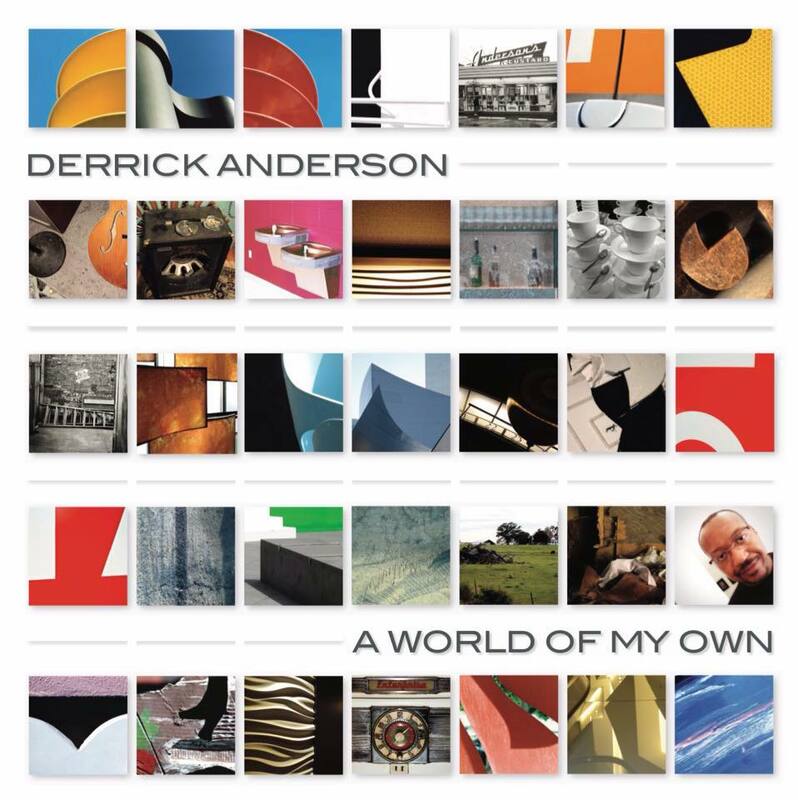 Anderson’s lyrics are well-crafted and convincing throughout A World Of My Own. “Send Me Down A Sign” deals with finding one’s place in life, and on “Happiness,” a guy is waiting for his lover to return. Anderson switches to a slow, authentic 1970s approach on “Something New.” The bonus track cover of “Norwegian Wood” takes some getting used to, but this hard-edged reworking of The Beatles’ classic goes in the win column as well. Photo from John San Juan’s Facebook page. John San Juan is a founding member of The Hushdrops, a Chicago-based trio known for artfully blending prog rock elements into power pop songs. He takes a more introspective approach on his solo debut Smashed, backed by fellow club veterans Anthony Illarde, Carolyn Engelmann, Jason Walker, and Rachel Drew. San Juan has crafted a series of exquisite melodies for this effort, and he weaves harder-edged instrumentation through some of the arrangements.